MoneyMaxx has a Karaoke machine. 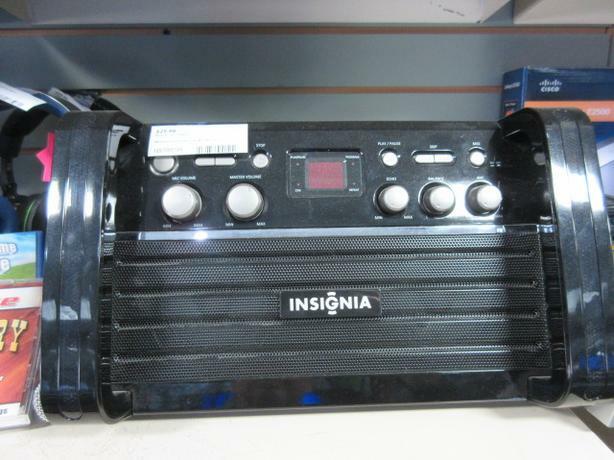 Unleash your inner rock star with this CD+G portable karaoke system that can be connected to your TV and home theater system for singing along to your favorite songs in your home. Echo effect control adds depth to your voice as you sing.